Not gonna lie to y'all, I was pretty excited to see the theme of today's nails: glitter. It's simple and easy. I got to take a nail art break for today, while still checking out some polish that was very exciting to me. But, I have some other things to show you, today! First of all, check out Recycle by itself. I LOVE CREME POLISHES!! Second of all, here's the lineup for today's mani (in order, too)! Third, here are some little rascals that were helping me out/distracting me while I was doing my mani. 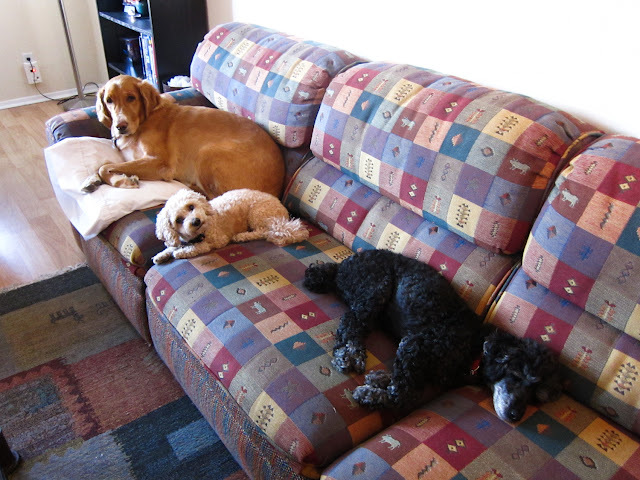 The little one in the middle is my dog Chowder, the retriever is Bella and the poodle is Molly, and they are both family dogs that I am babysitting for the weekend! And here are a couple more shots of today's mani. 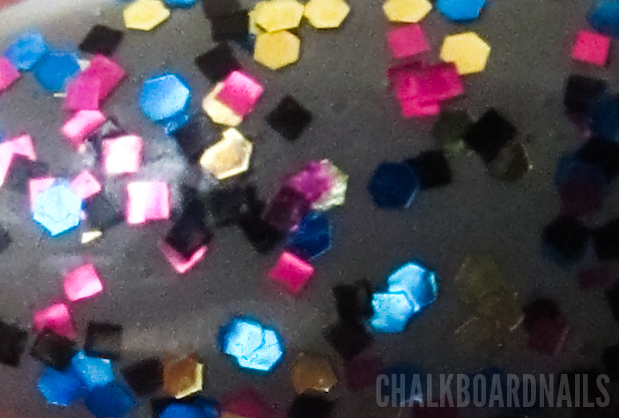 Oooooo that glitter is amaazing!! And your dogs are so cuute!! Pretty! It almost makes me like Correction Tape! 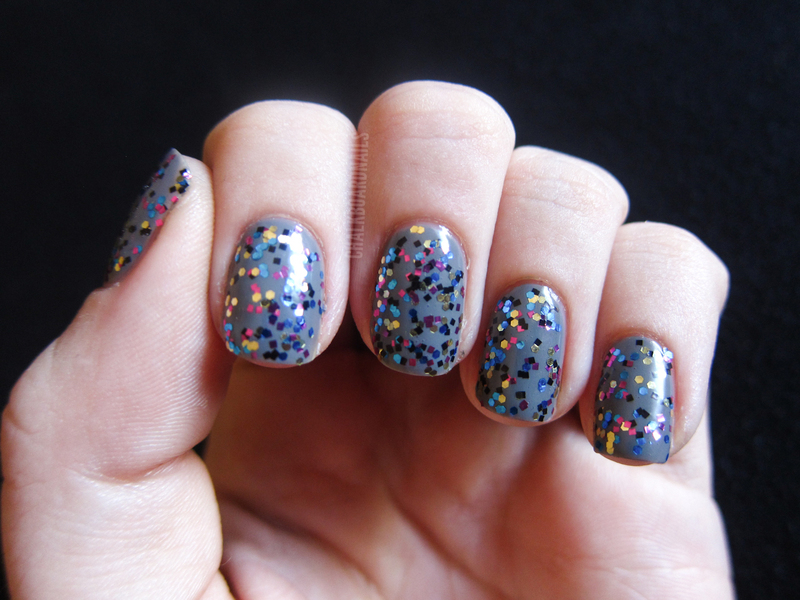 Really nice combo, I've worn this glitter with a grey as well, I think the colors all work great together. The glitter is currently available in the Spoiled brand, it's called Trust Fund Baby.